If you’re looking for a place that fosters learning, innovation, and creative problem solving, perhaps you are a future member of the extended MASSA Family. We value people who are passionate about their work and are in the pursuit of happiness through continued learning. 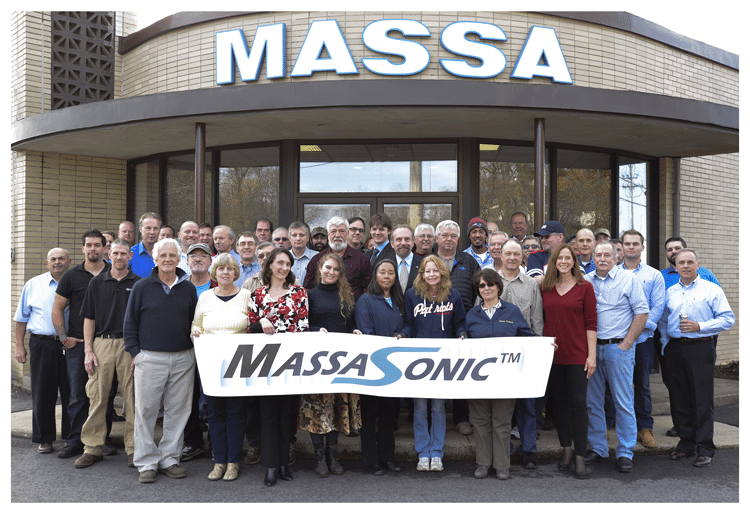 Massa Products Corporation is an industry leader in air ultrasonics and underwater sonar technology. We have been in business for 70+ years, designing and manufacturing specialized electronic equipment for the U.S. and Allied Navies, and for many of the world’s largest corporations. Our products are interesting and unique. The company offers a competitive compensation package, which includes health, dental, life and disability insurance, along with a 401K retirement plan. We are proudly located in Hingham, 15 miles south of Boston, Massachusetts. Come join a growing company right here on the South Shore! We are looking for full-time experienced production staff to support our growth. Ideal candidates will have at least two years of hands-on experience in a manufacturing environment. Rubber Molding experience is a plus. Also, since many of our products are large in size, candidates must be able to lift up to fifty pounds. Salary will commensurate with experience. In addition to the above qualifications, we seek individuals who are reliable, have a keen attention to detail and take pride in their work. Our company seeks an individual who has experience working in a rubber molding environment. Our business is growing and we seek a reliable, quality-focused individual to join our production team. We offer a diverse working environment with an opportunity to work on several different product lines and production areas throughout the day. The primary responsibility will be cleaning and preparing various parts for rubber molding. Experience working in a compression rubber molding environment. Experience sandblasting with a familiarity of the types of equipment used. Experience in brush painting of adhesives and primers. Experience in part cleaning and preparation for molding. Ability to multi-task and move seamlessly between tasks. Must be detail oriented with a focus on part and process quality. If you enjoy working in a small company environment and culture and have the experience and qualities listed above we look forward to meeting you. Forward a copy of your resume to [email protected] or stop by our plant to complete an Employment Application. With the positions listed above, we offer an excellent benefits package, which includes health, dental, life and disability insurance, and 401K plan. LOCAL CANDIDATES ONLY. Relocation assistance is not available. Please visit us in Hingham to fill out an employment application, or email your resume to [email protected]. If you feel driven to change the world though electroacoustics – MASSA is where you belong! © Massa 2019. All rights reserved.